Affordable housing is a hot-topic in Europe and across the world right now. To look for solutions, New London Architecture (NLA) launched a competition prompting architects, planners and citizens to submit ideas for the current housing crisis in London—and the entries are in. The competition attracted over 200 submissions from over 16 countries and NLA has released a list of 100 of the submitted schemes which include radical concepts from NBBJ, Rogers Stirk Harbour+Partners, and Grimshaw Architects, among others. 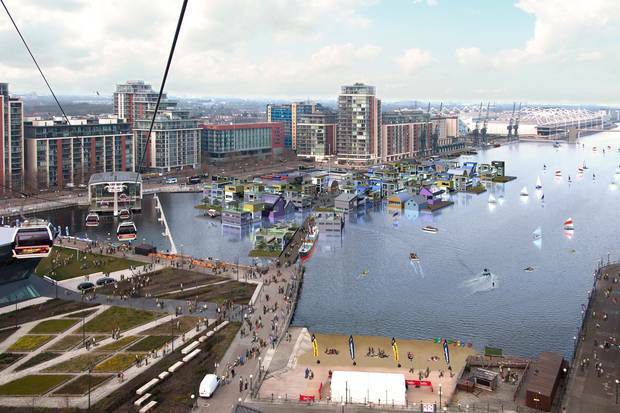 Seattle-based NBBJ has proposed taking up 9,000 miles of London road to make way for residential housing whereas London practice dRMM advocate the implementation of floating houses. Infact dRMM weren’t the only firm to take advantage of London’s waterways. 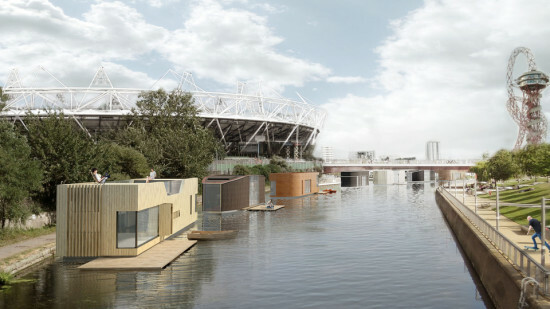 Baca Architects and the appropriately named, Floating Homes Ltd. suggested installing 7,500 prefab floating homes along the canal routes of London, something they say could be done in under a year. Floating architecture, it appears, is a powerful force in captivating the imaginations of architects. The competition hasn’t just attracted architects however, property consultants GL Hearn propose constructing a megacity by the M25 highway that travels London to improve housing, retail, workspaces, and infrastructure links by 2050.